I aged the muslin by dying it in tea (thank you giant box of Lipton). 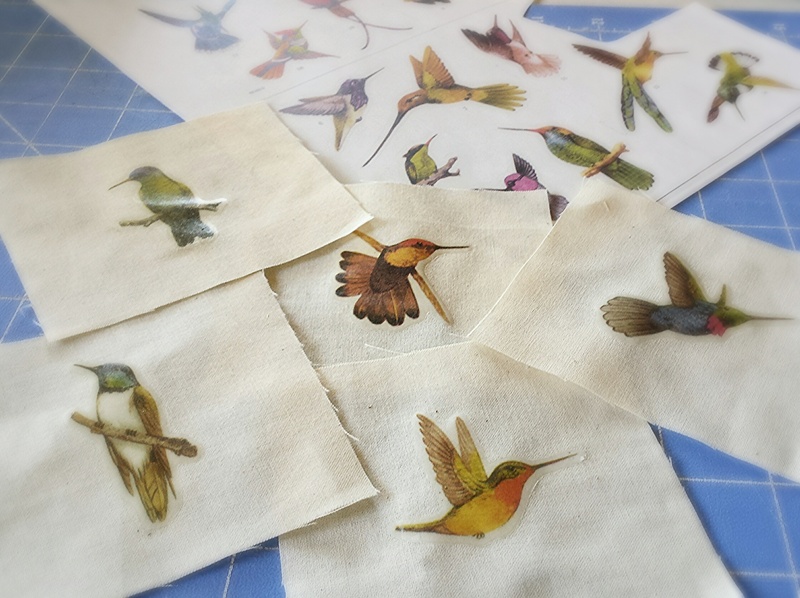 And I made heat transfers from a page of hummingbird stickers. 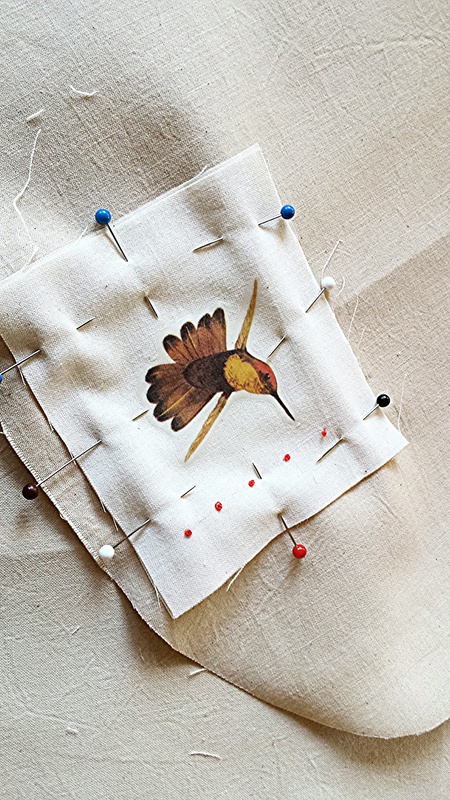 These beautiful, tiny birds flutter around our house from time to time. If I was a better gardener, I could plant shrubs that attract the birds, and see them even more often. 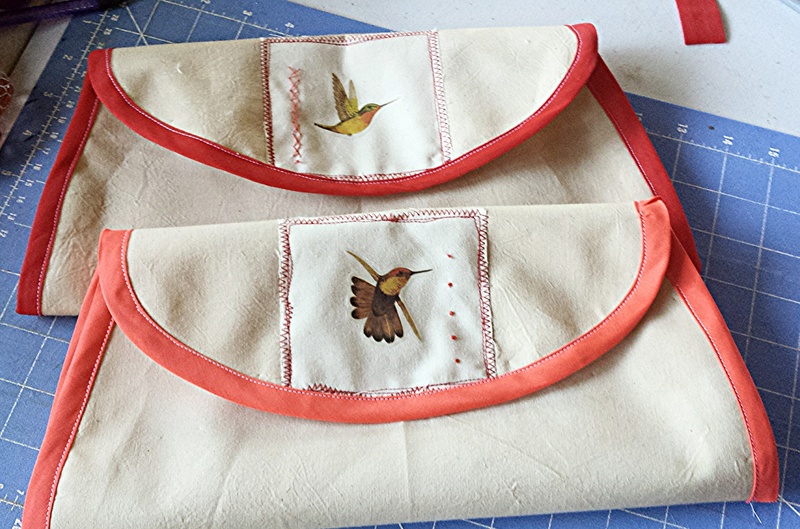 But for now….heat transfers on muslin, stitched on to make neat clutch purses. I will have a stack of these at Junk in the Trunk.